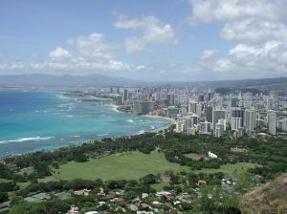 Honolulu Passport - Where to Apply for a Passport in Honolulu, Hawaii. There are only four passport offices in Honolulu, Hawaii so we have listed a few other for more options. The majority of application acceptance facilities are located at post offices. The majority of passport offices require an appointment. Please call or schedule an appointment online before visiting. Applications for a new passport (Form DS-11) should be taken to a nearby passport application acceptance facility so that an agent can witness your signature. Applications for other passport services - renewals, name change, and corrections, etc. - can be made by mail. For a list of acceptance facilities in cities other than Honolulu, visit the Hawaii passport office page. The estimated time it takes to get a passport application processed is 4 to 6 weeks. Applicants can request expedited service for processing in 2 to 3 weeks. If you require a passport more quickly, schedule an appointment at the Honolulu Passport Agency or employ the assistance of a registered passport expediting courier service such as Fastport Passport. Click here to apply for expedited passport courier service.